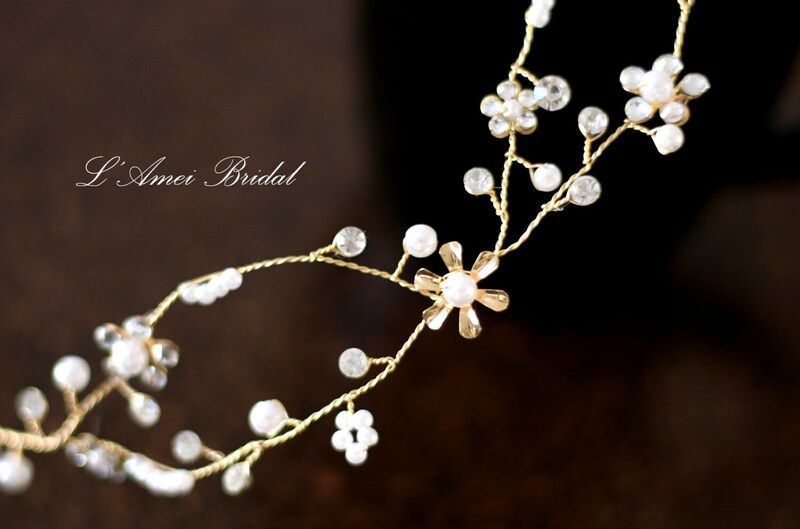 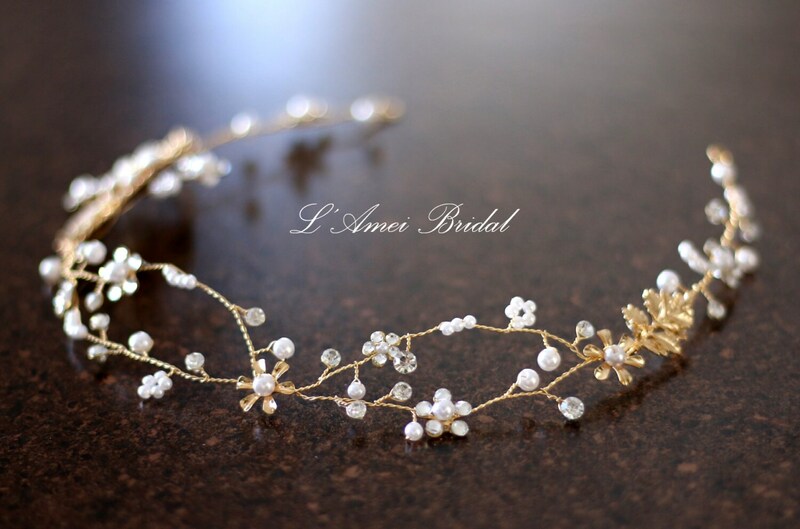 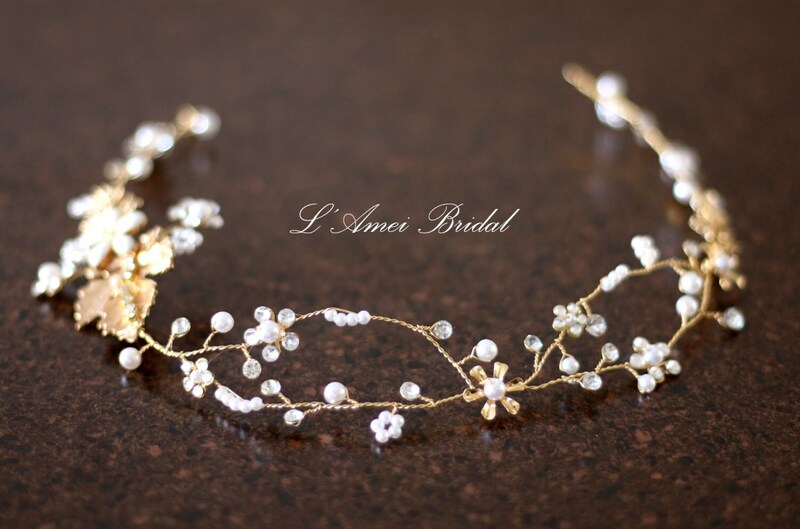 This Bridal headpiece is all hand wired using ivory pearls and brass flowers and leaves on antique gold colored wire. 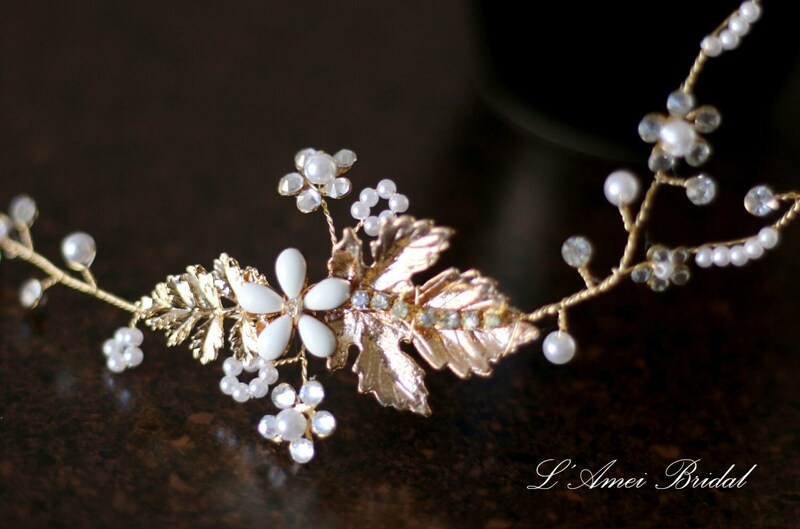 It will bend easily around any hair style, and has loops in the pack to pin into your hair, but if you like I will ad some narrow ivory ribbons so you can tie it on. 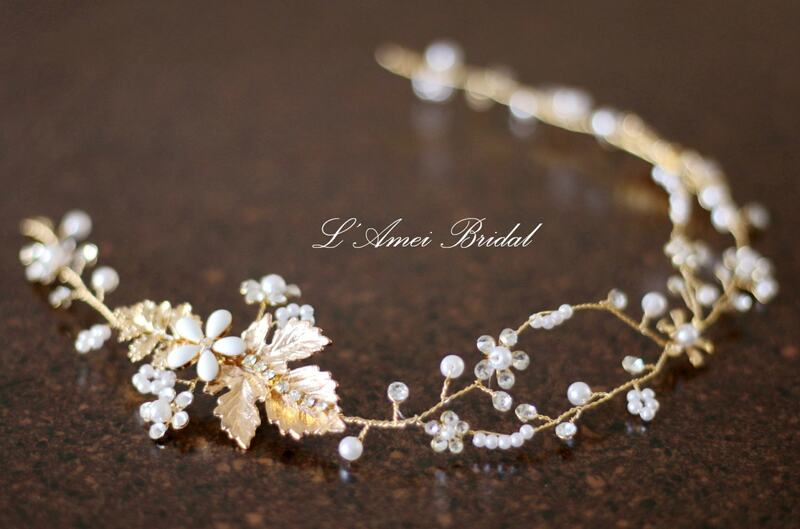 It has a Grecian rustic feel, and will make a great headband for your wedding day.